This truly amazing camera technology is so astonishing, that it is now slowly migrating into the residential and commercial inspection field. Thermal Imaging is quite possibly, the most important technology to be utilized in the Residential and Commercial inspection profession today. In the hands of Certified, Trained and Experienced Thermographers , the infrared camera allows me to detect hidden issues behind finished surfaces of any building by evaluating the camera’s images and temperature readings and then interpreting these readings directly to you. 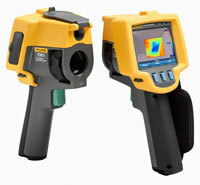 The list is endless as to what can be seen with Infrared Thermal Imaging. Watch this Instructive Video !